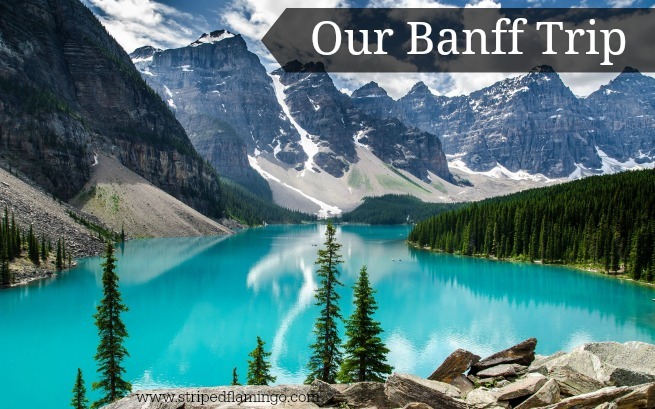 ICYMI, M and I are traveling to Banff in August. It will be my first time planning an actual vacation internationally. (Our honeymoon was international, but at an all-inclusive resort.) This trip presents a variety of new challenges for me and as an OCD trip planner, I've been trying to be as proactive as possible. So far we've booked our hotel, plane tickets and rental car. I've planned our itinerary (somewhat) and started working on a packing list. Finally, I've started to break in my hiking shoes! 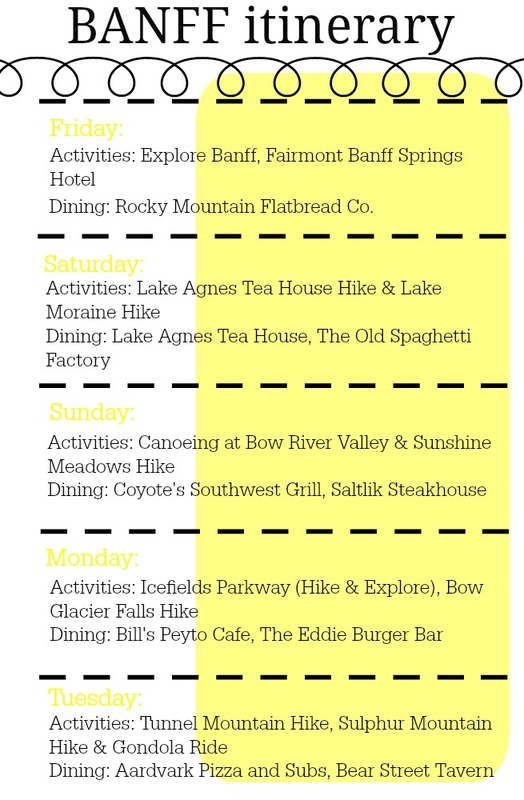 :) Here's what we've got shaped up on our itinerary so far. You'll notice I still need to figure out breakfast locations but since our hotel does a continental breakfast I may not need to. Phew! For those of you that do extensive trip itineraries (I'm looking at you Steph) do you often find that you veer from it or do you stick to it? I tried to space out big hiking days with days that have smaller or easier hikes but I know things may change when we get there. Do you just plan to get off the itinerary some? Or do you pretty much stick to it? Our travel days are Friday (half day) and Wednesday (we leave late morning) so I didn't plan much for those days.